Woke up at 11 in the morning (after dad called). It was very windy outside and the doors kept banging shut. 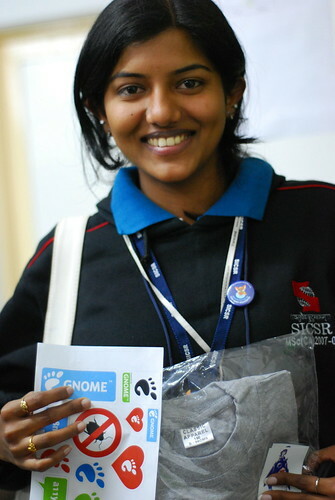 Half-dozing, managed to reach the SICSR for the Linuxchix Pune meet. A nice one and half hour of brainstorming and we have come up with an event for July 5th. A Python+Apache, hands on session. Also, Shubhra had a nice idea about putting together a 2-3 member team, who would be collating information about the insitutes where we might be able to conduct sessions (e.g. identify institutes and points of contact, do background check of the audience profile etc.). Shubhra and Smriti have volunteered to take on the role for now. The gory details from the meet would be posted by Shruti later. All the girls were wearing sarees (and looking gorgeous), as they had to attend a lecture at 6 PM and formal attire was mandatory. They even roped in their Head of Department for the meet. Was caught in the rain, while returning home. Its still raining and the temperature has dropped a few notches. 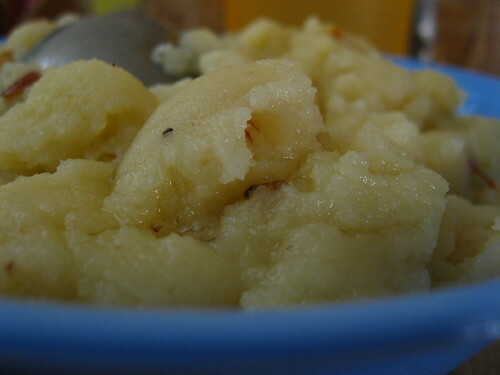 This entry was posted in Uncategorized and tagged linuxchix india on June 14, 2008 by runa. On a serious note, LinuxChix India – Pune group is meeting up this weekend for a CityMeet. 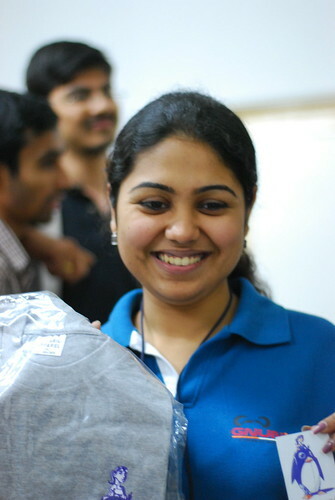 Smriti, from SICSR has been co-ordinating this meet and has done a great job so far to put everything together. See you there. 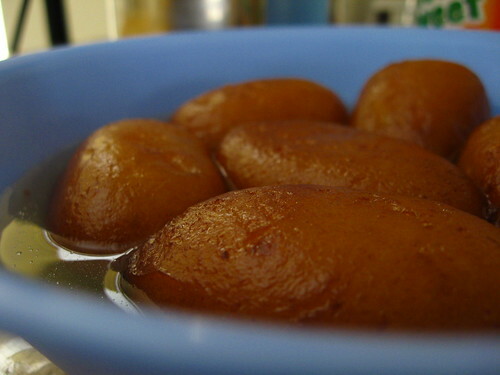 This entry was posted in Uncategorized and tagged linuxchix india, random on June 13, 2008 by runa. Last Saturday, /me and Ani headed off towards Abeda Inamdar Senior College in the morning, for a session on Linux Desktop basics. 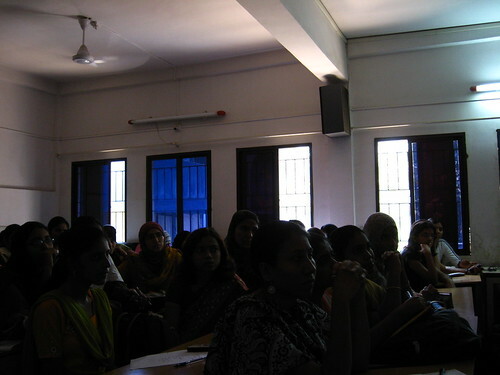 The session had been organised by Ms. Malika Siamwala, a teacher with the Department of Mathematics in the college. Its located within the Azam Campus, a beautiful location that houses about 10 institutes and playgrounds. Ani and I walked through the sprawling campus, trying to locate the college and exchanging anecdotes about our own college days. After the discussions ended, the students trooped around us for a better look at the applications as well as the localized desktop on my laptop. Ms.Siamwala later took us to their Department room and we had yummy samosas and sweets. Later we went to meet the Principal of the College, Mr.H.Khan. He invited us to have more sessions at the college. An enriching experience for all of us and I really hope to be back there soon. This entry was posted in Uncategorized and tagged fedora, linuxchix india on March 18, 2008 by runa. GNUnify 08, LC-India BoF etc. Another fun bit was the proposal to have the group’s presence at various social networking sites. Barkha also seems to have received the same request at another event, where she was talking the very next day. Well, if the not-so-traditional forums help us take forward the idea amongst the youngsters, then it sounds like a pretty much fun idea. And Barkha, real sweetheart, brought us lovely home-cooked-her-mummy-made-yummy-stuff..
..travelling 10 hours on the Mumbai-Pune Expressway. 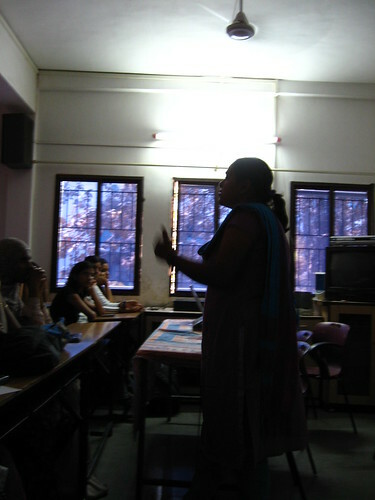 Ankita’s talk is up next at TechKriti – IIT Kanpur. 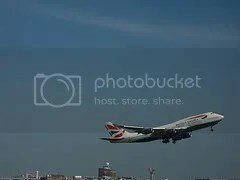 This entry was posted in Uncategorized and tagged friends, gnunify08, linuxchix india on February 14, 2008 by runa. During the day I keep visiting multiple planets to get a general overview of things that people are talking about. To start off (with some drumroll) there is a new planet exclusively for Indian women in the FOSS world: planet.linuxchix.org.in. Its still in a beta stage and Barkha is working to fine tune it. More feeds welcome and do drop in a mail to planet-admin at linuxchix dawt org dawt in to get on-board. This morning I read Atul‘s listing of the FOSS events happening in the next few days all over India. This list along with Puthali‘s mail to the LinuxChix-India mailing list helped me redraw up the “Upcoming Event list” on the LinuxChix-India main page. There had been some complaints about the wiki main page looking cluttered. So as an attempt to correct it, the “Events” and “Upcoming FOSS Events” sections have been merged into Upcoming Events of Interest. A big list for February and March is in place already. Under each event, the participating members could add their talks/sessions etc. However, this format can always be changed if its not looking pretty. 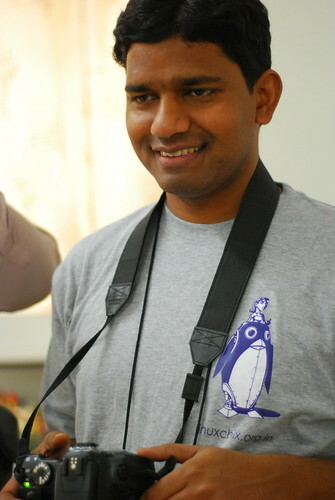 Also, there are new pages now for the CityMeets and Past participation by LinuxChix India members at various events. Ankita has done some work on the Task List page to segregate the tasks according to their status. The other post that intrigued me was by Kart_ referring to the article about the EEE laptop and PC launched by ASUS. The opening lines from the article claim that the the EEE PC is aimed at “pupils, housewives, old persons, and teenagers“. Are’nt “target users” of gadgets to be judged by the “use they put it into” and or “volume of usage”, rather than their status/age. What kind of “pupils or teenagers” are being talked about here? What age (or perhaps baldness level) defines “Old persons”? “Housewives”…ahem…I consider myself a “married working professional who also looks after the house she lives in” – does that count? This entry was posted in Uncategorized and tagged linuxchix india, random on January 31, 2008 by runa. We had the first Pune City Meet of LinuxChix India today. Not too many people yet it was a fun brainstorming session. Most of us seemed to agree that enriching the wiki with content targetted at both new FOSS users as well as old users with special interests would help garner support and active contributions. Minutes should be up on Monday by Ani. This section is targetted for New members – both familiar and not-familiar with FoSS. This may contain resources that will help the new members become familiar with the group’s guidelines and also tutorials (text/audio/visual) to help new-users with various FOSS applications. Perhaps I could borrow some of Kushal‘s videocasts for this section. The knowledgebase is something that I would really love to see grow. It can be a placeholder for contributions by members as well as pointer to external documents and other contents of interest. This would need categorization. Just realised: All the above sections can also be localized! This entry was posted in Uncategorized and tagged linuxchix india on January 12, 2008 by runa. The Linuxchix India Chapter has a new mailing list now. Thanks to Archana and Vidya for all the hardwork to get this going. This entry was posted in Uncategorized and tagged linuxchix india on December 24, 2007 by runa.